Use with hockey-puc shackle less padlock. Flat Base for Bolting Down. The PJB Garage Defender Master is a Sold Secure Approved Product. Solid steel hardened shackleless Padlock. Bar unit locks onto a solid steel base. 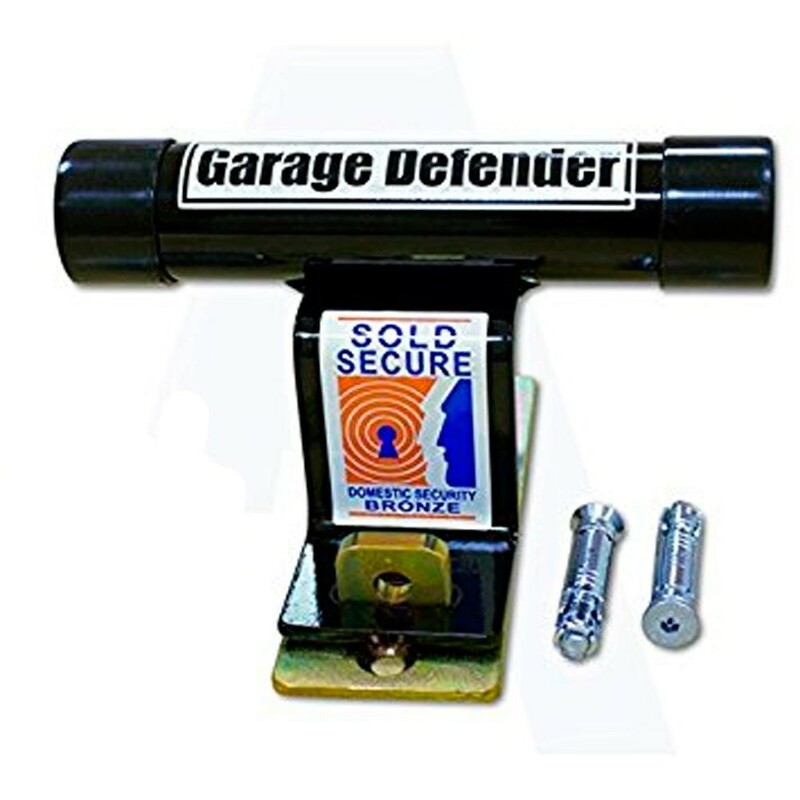 Simple ground fitting in front of garage door with expandable security raw bolts (included). Hard wearing powder coated finish. Easy to fit within the hour. Full fitting instructions included. Made in Britain.